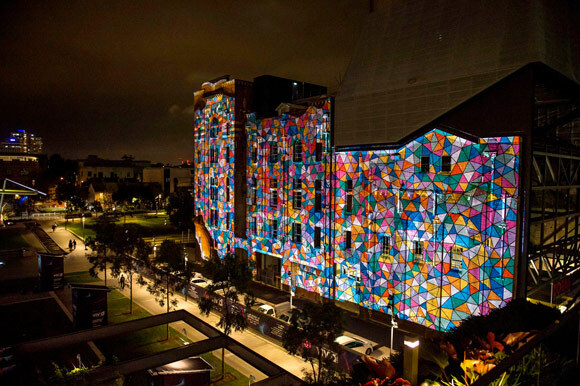 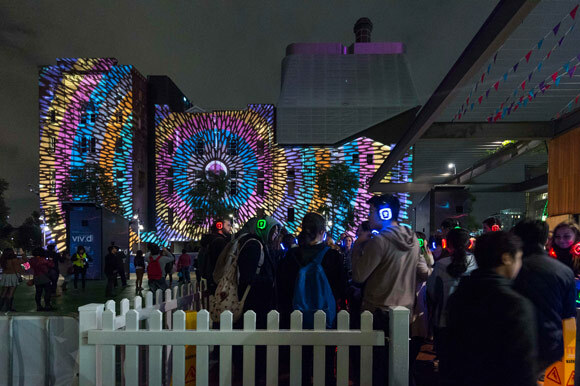 Wiltshire + Dimas in partnership with Central Park, Frasers Property and Sekisui House, brought Vivid Sydney to Central Park as a new precinct in 2015 with a major activation that spanned across the three pillars – Vivid Lights, Vivid Ideas and Vivid Music. 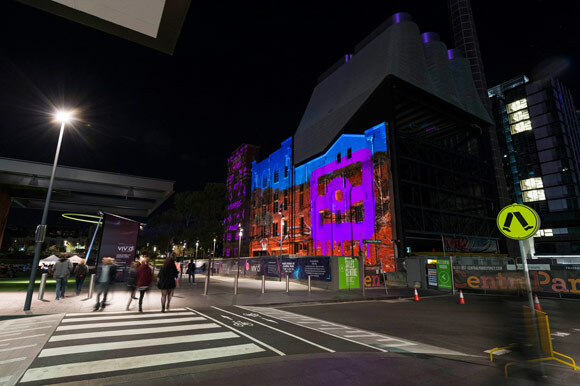 Titled Vivid Sydney at Central Park, the Lights activation featured street art projections by Sydney artist Brad Eastman (aka Beastman) and Melbourne Indigenous artist Reko Rennie, on the heritage facade of Kent Brewery curated by aMBUSH Gallery with surrounding outdoor activation programming. 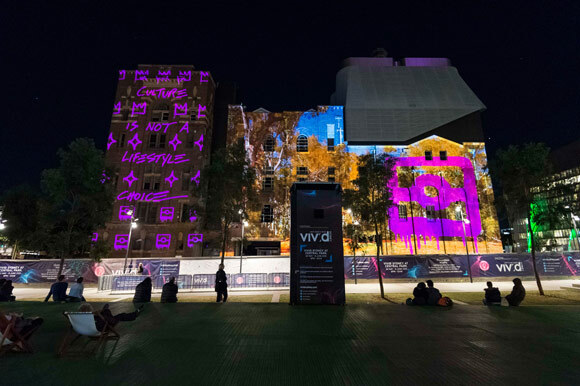 The Ideas activation featured STREETS AHEAD – a new and innovative event on the Australian creative scene, bringing together the world’s premier artists, brands and designers from street art and streetwear, to showcase the connection between art and commerce. 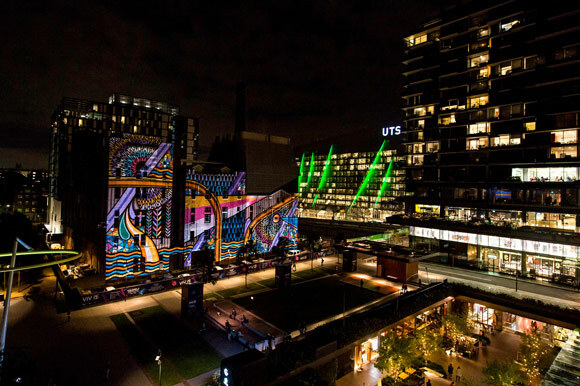 STREETS AHEAD was presented by aMBUSH Gallery, T-world in partnership with Central Park and Vivid Ideas. 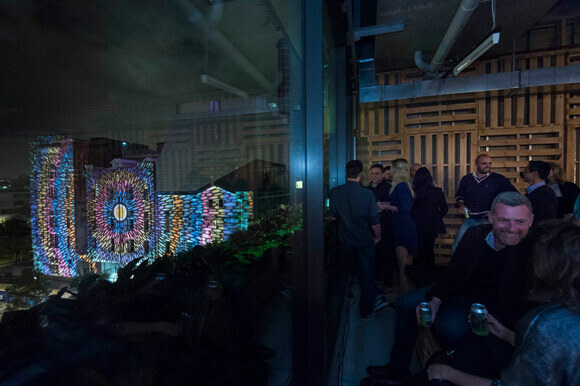 Music was integrated in the Festival Lounge inside the new aMBUSH Gallery event space by the Keystone Group with a satellite of The Newtown Hotel.